Helped organize Turf Writers' Association. New York Times' obituary, August 6, 1937, pp. 17. Last edited by Bill Burgess; 11-12-2011, 06:17 PM. Last edited by Bill Burgess; 10-10-2009, 05:01 PM. 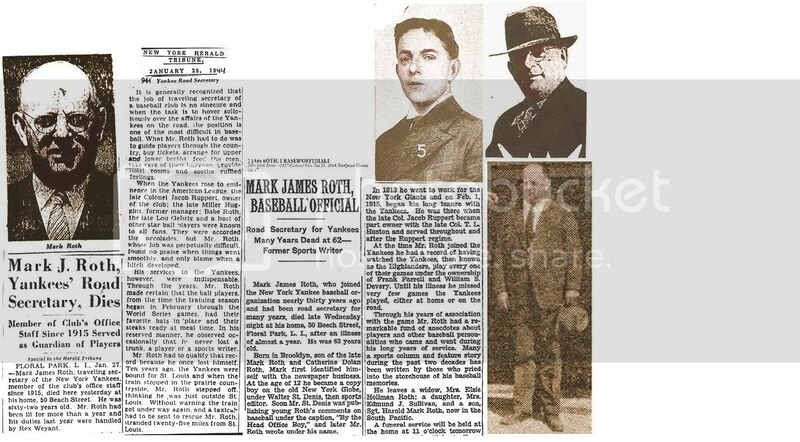 New York Yankees' Traveling Secretary, February 1, 1915 - 1944. New York Herald-Tribune, January 28, 1944.----------------New York Times' obituary, January 28, 1944, pp. 17. Sporting News' obituary, February 3, 1944, pp. 12. Last edited by Bill Burgess; 09-16-2012, 12:43 PM. Detroit News-Tribune, sports editor, 1910-1911. 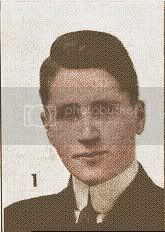 Rolfe C. Spinning, Inc., advertising agency officer, ? - 1946. He then entered advertising writing for the Detroit auto industry. 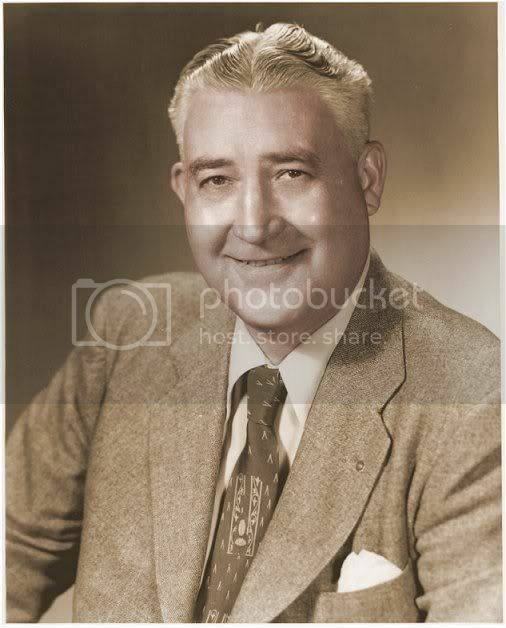 He then worked for E-M-F, the forrunner of Studebaker, then Fisher Body, and Oldfield Tires. Paul retired in 1946, while an officer for Rolfe C. Spinning, Inc. advertising company. He is survived by his wife, a daughter, Mrs. Charles N. Dewey, Worchester, Mass, and a son, Paul. -------------------------------------------------------------------------------------------------------Washington Post obituary, September 28, 1956, pp. 26. 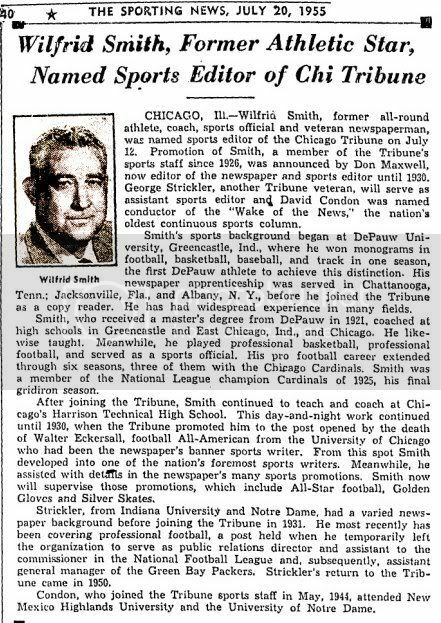 ----------------------------------------------------------------------------------------------------------------------------Sporting News' obituary, October, 10, 1956, pp. 28. Last edited by Bill Burgess; 09-30-2011, 06:55 PM. New York Evening Telegraph, 1912 - at least September, 1918. His middle name, 'Turner' was his mother's maiden name. Last edited by Bill Burgess; 10-23-2012, 12:35 PM. Died: August 26, 2000, Daytona Beach, FL, age 86,---d. Saturday night at hospice in Port Orange, FL. 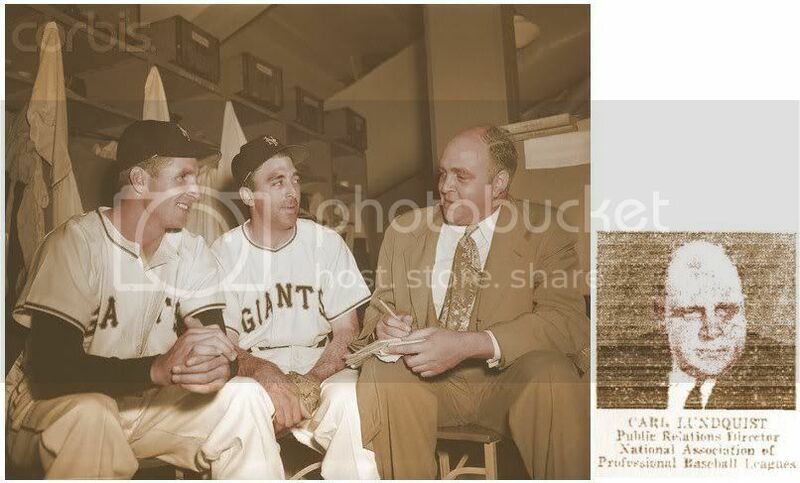 Associated Press Archive obituary, August 30, 2000.--------------------April 15, 1952, Polo Grounds: L-R: Bobby Thomson, Sal Maglie, United Press Reporter Carl Lundquist. 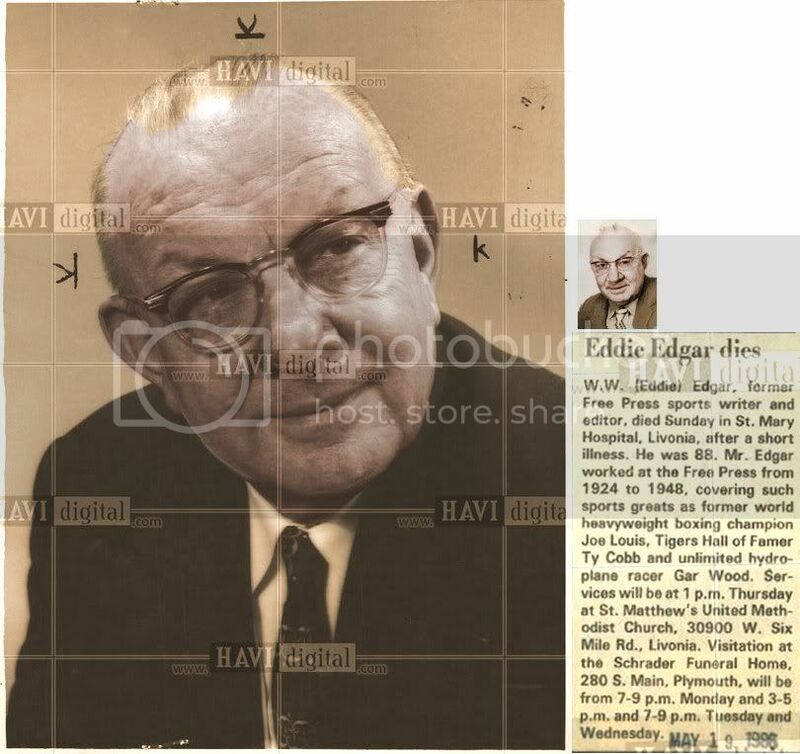 1949: Leo MacDonnell, Leo Peterson, William G. Evans (Detroit Tigers' GM), Sam Greene, Carl Lundquist, Dean Miller, Lyall Smith. 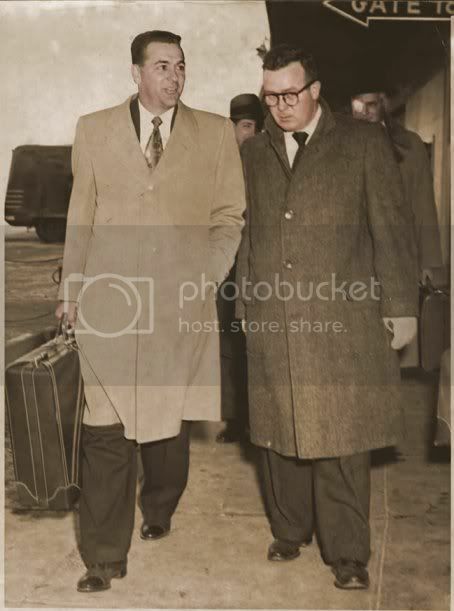 1960: Minor League Convention, Louisville, KY: Ken Nicolson / Carl Lundquist. Last edited by Bill Burgess; 08-14-2012, 08:52 AM. 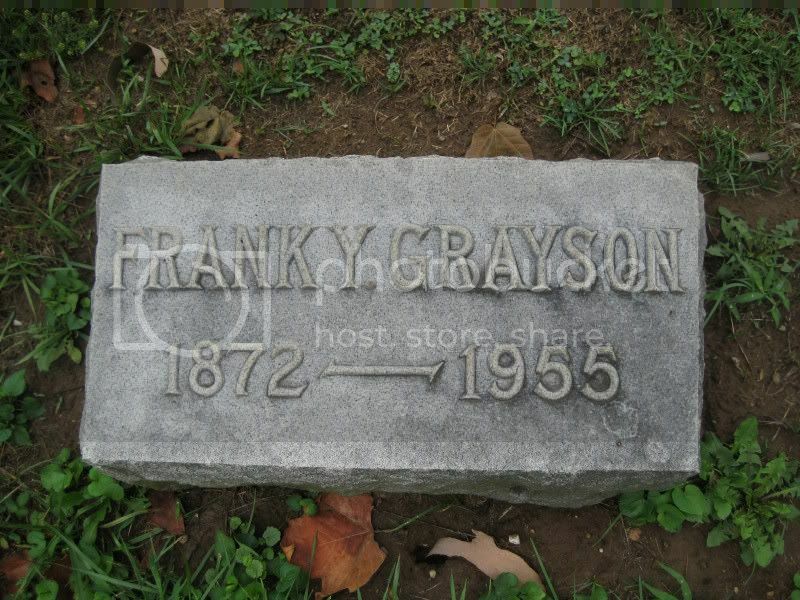 Died: August 27, 1970, Chicago, IL, age 72---d. heart attack while attending a Shriners' convention dinner in Atlanta. President National Professional Basketball League, 1940 - 1944. 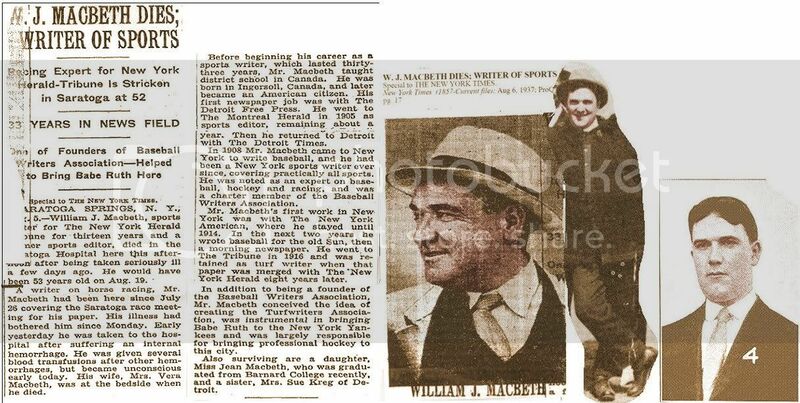 This sports writer for the Chicago Herald American had a vision that the sport of softball was going to be important to people of all ages if promoted. 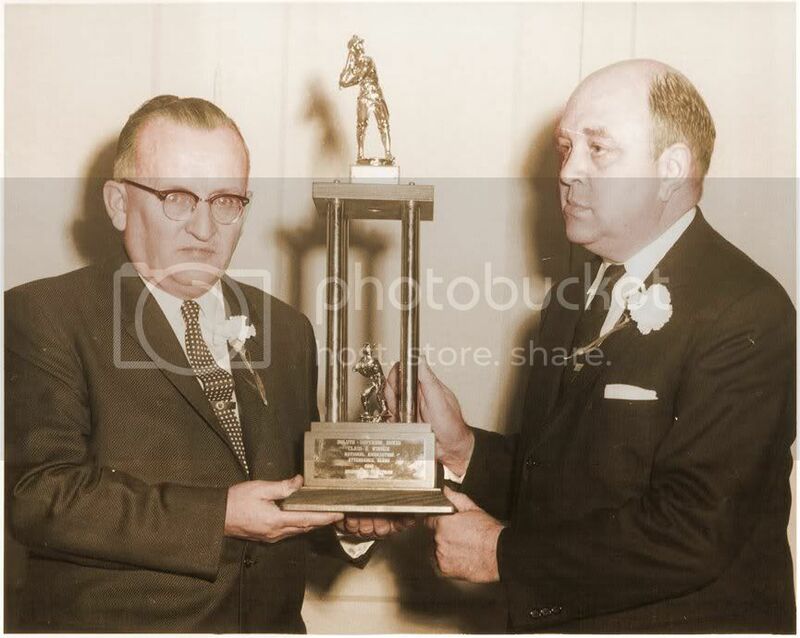 His local tournament organizing efforts in the 30's eventually developed into the City Championship and the finals were held at Wrigley Field. Backed by William Randolph Hearst, his publication allowed him to organize the first national softball tournament during the 1933 World's Fair in Chicago's Grant Park. Even though the 55 teams played with different size balls and rules he compromised on a 14' ball. The games began and were seen by over 100,000 people. Note the team entry fee was only $2.50. He kept the nationals going until WWII. 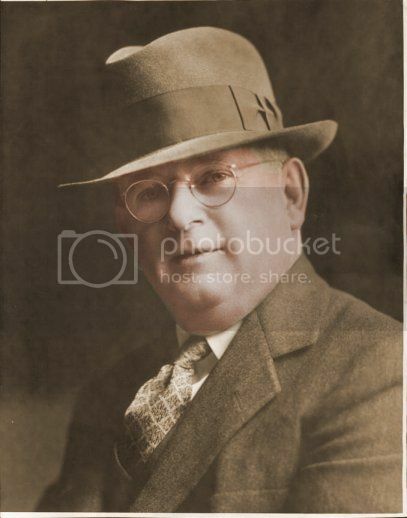 Eventually he would found/organize the ASA, Amateur Softball Association and served as its first president. ---------------------------------------------------Sporting News' obituary, September 12, 1970, pp. 37. Chicago Tribune obituary, August 29, 1970, pp. 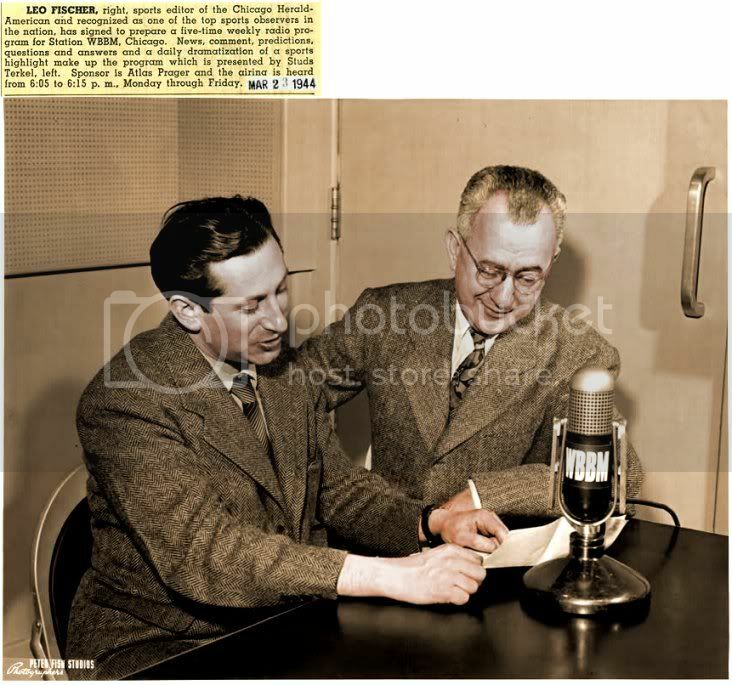 B3.------------------------------------------------------------------March 23, 1944: Studs Terkel / Leo Fischer. Last edited by Bill Burgess; 08-14-2012, 08:41 AM. 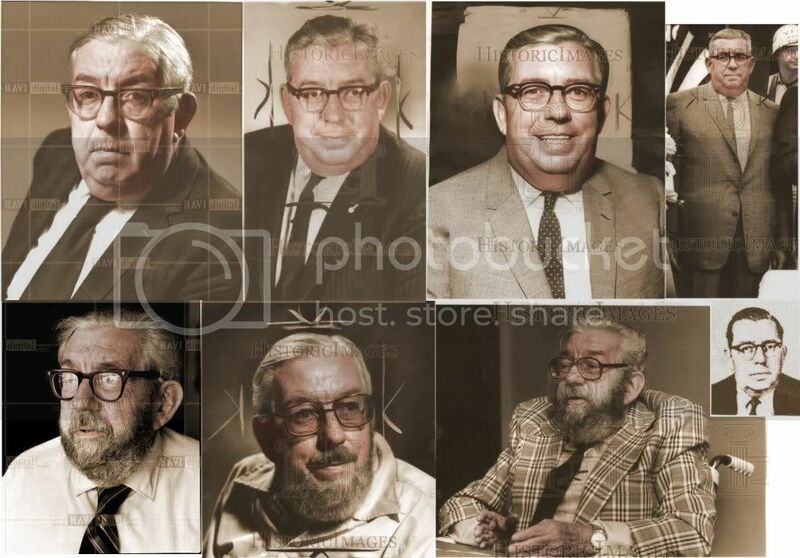 Boston Record-American sports writer/columnist, 1930 - 1968, became columnist in 1958, covered baseball, football and hockey. His middle names were his father's middle name and his mother's last name. January 31, 1952: Lou Boudreau of the Red Sox / John Gillooly.--------------------------------------------------------Sporting News' obituary, June 1, 1968, pp. 37. Last edited by Bill Burgess; 10-26-2013, 03:11 PM. New York Evening Journal, 1925 - ? New York Daily News, 1950 - June, 1959. Wrote Baseball, Football, Boxing, Rowing. edited by Harold 'Speed' Johnson, 1933, pp. 502.------------------------------1923. 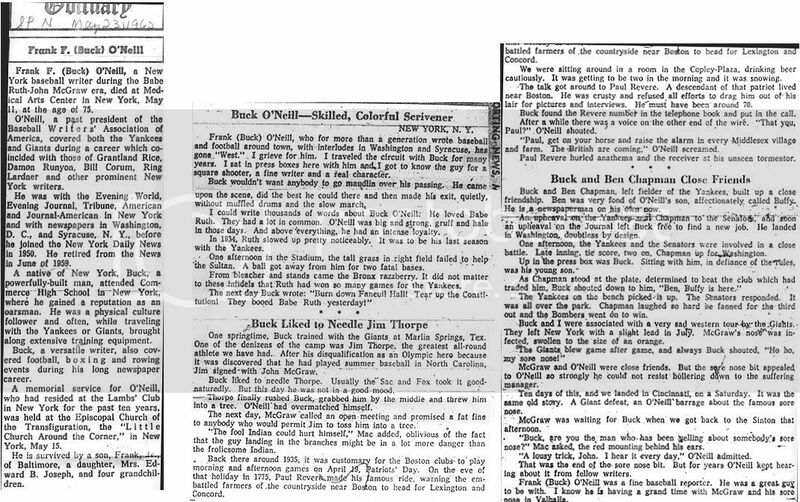 Sporting News' obituary,----------------Dan Daniel's tribute to Buck O'Neil, Sporting News, May 23, 1962, pp. 12. May 23, 1962, pp. 40, column 4. Last edited by Bill Burgess; 09-05-2012, 11:59 PM. Started on Cincinnati Enquirer, 1897 - 1908, as police reporter, then assessment clerk on city pay roll. 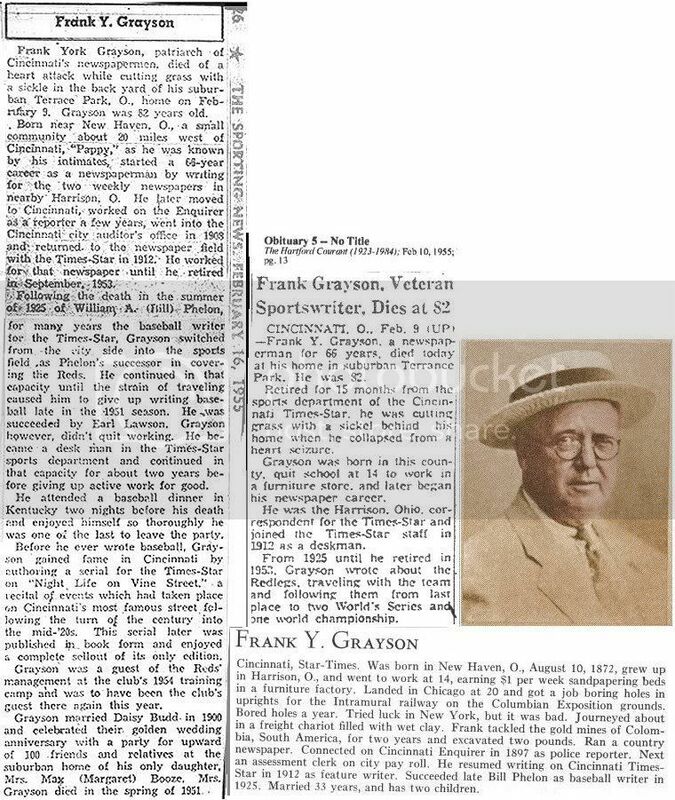 Cincinnati Times-Star feature writer, 1912 - 1925, succeeded Bill Phelon as Baseball writer in August, 1925 until retirement, September, 1953. Retired from baseball writing 2 years before that. February 16, 1955, pp. 26.----------------February 10, 1955, pp. 13. ------------------------------------------------edited by Harold 'Speed' Johnson, 1933, pp. 507. Last edited by Bill Burgess; 10-02-2011, 05:32 PM. Father: William R., born Indiana, October, 1872; Mother: Catherine, born Indiana, August, 1872; Wife: Lillian M. born Illinois, around 1908. 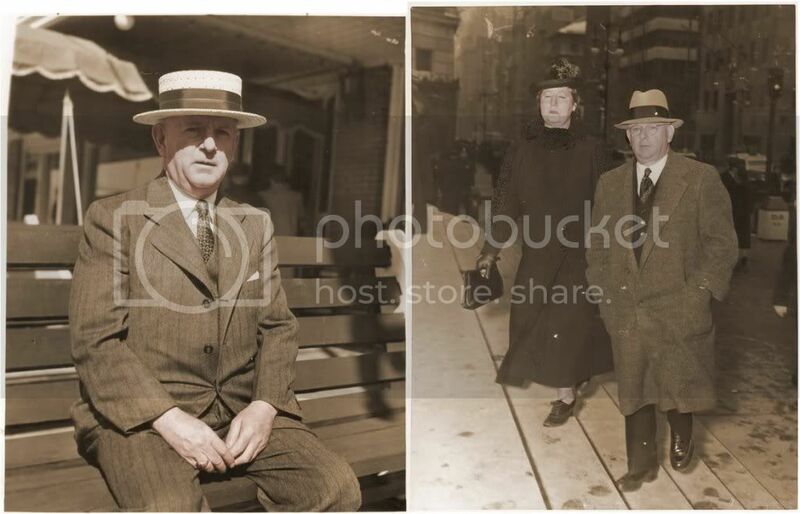 Wilfred married Lillian around 1928. 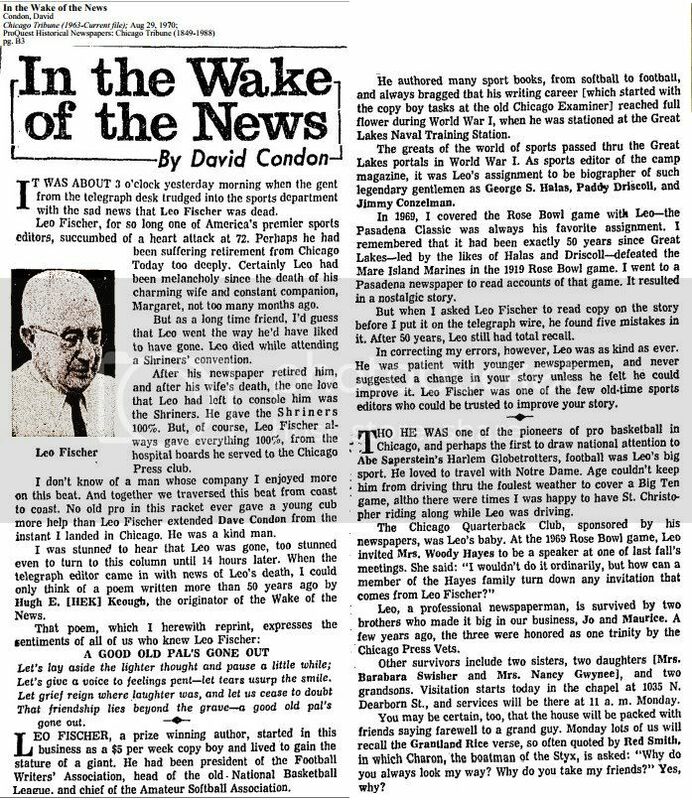 Sporting News' tribute article, July 20, 1955, pp. 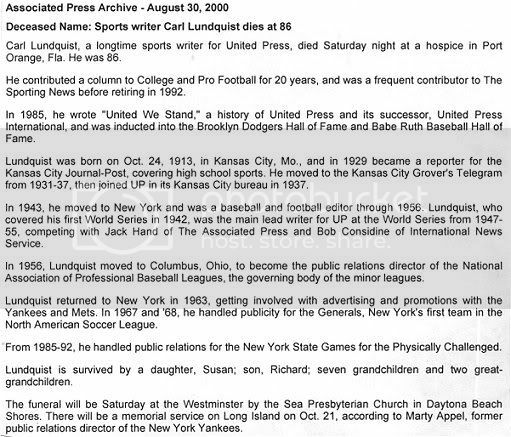 40.---------Sporting News' obituary, August 28, 1976, pp. 37. Last edited by Bill Burgess; 11-22-2011, 05:49 PM. Died: June 22, 1987, Monroe, MI, age 79,---d. nursing home. 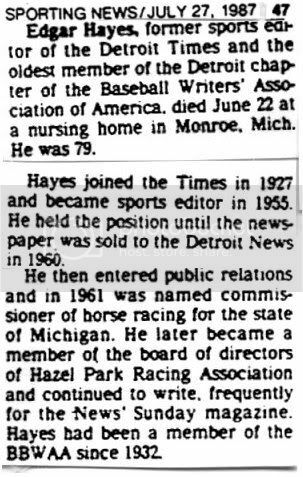 HAYES, Edgar, 79, a former Michigan racing commissioner and sports editor of the Detroit Times; Monday in Detroit. 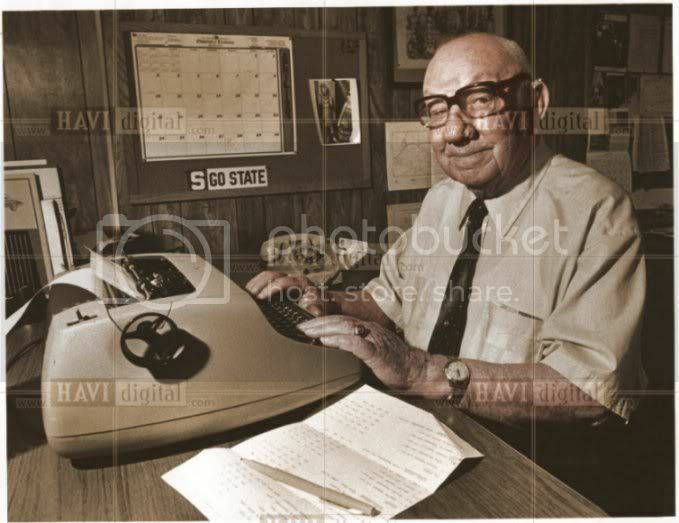 Mr. Hayes joined the Times in 1927, covering high school, college and professional sports before becoming sports editor in 1955. He held that position until the Times was sold to The Detroit News in 1960. -------------------------------------------------------------------------------------------------------------------------------------------------Sporting News' obituary July 27, 1987, pp. 47. Last edited by Bill Burgess; 02-02-2013, 12:56 PM. Died: May 18, 1986, Livonia, MI, age 88,---d. St. Mary Hospital in Livonia, MI, after a short illness. Last edited by Bill Burgess; 02-02-2013, 01:27 PM. San Francisco News police reporter, Love Advice Column "Cynthia Grey", 1911 - 1915), sports editor, 1915 - January 1, 1943. Partner in Sacramento bowling alley, January 1, 1943 -? 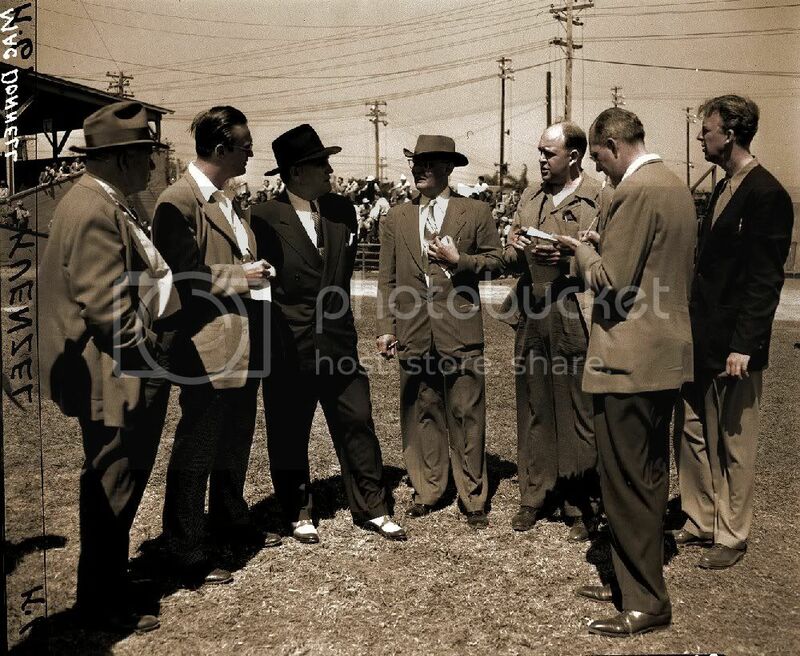 He was later an official with Tanforan Bay Meadows and race tracks. He was in poor health his last 3 years, and was a patient in a Marin County convalescent home. Tom was a native of the Mission District (San Francisco) , and later lived at 100 Pinehurst Way, South San Francisco. Tom was an intense, fiesty kind of guy who didn't back down from his opinions. He was Joe DiMaggio's staunchest booster for the Major Leagues. Specialized in boxing & baseball. 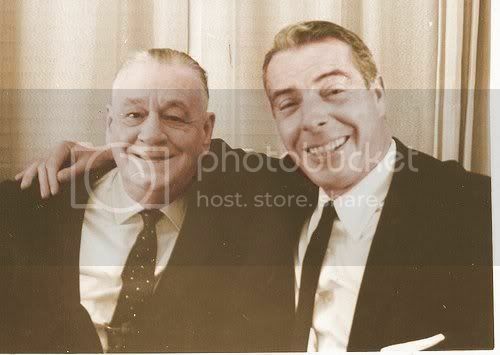 Knew Dempsey, DiMaggio, O'Doul. 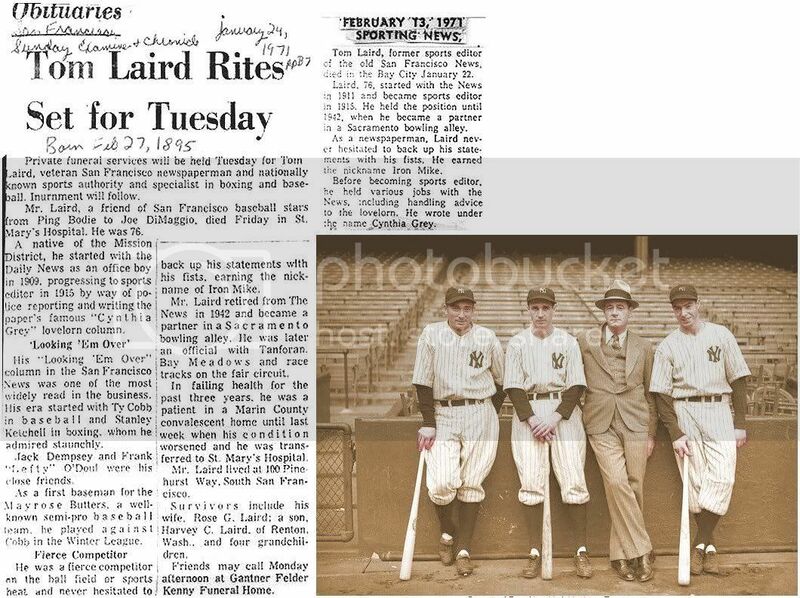 Tom Laird, a two-fisted journalist from the old days, was the News sports editor at the time. "He was rough and tough," Walter recalled, "but he knew his sports. I think baseball and boxing were his favorites. He was a former semipro first baseman. When he found out how I liked baseball, he took an interest in me." Walter recalls the time Laird flattened the late Examiner columnist Prescott Sullivan with one punch near the Polo Field in Golden Gate Park. Sullivan had written something that Laird didn't like. 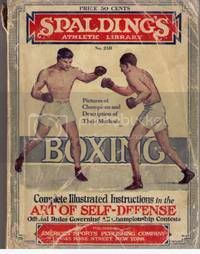 A true newspaperman, Sullivan got into his car and drove to The Examiner, where he wrote a column on how it felt to meet "Iron Mike," what Laird called his right-hand punch, on an intimate basis. "Nobody was going to scoop me on my own knockout," Sullivan said at the time. 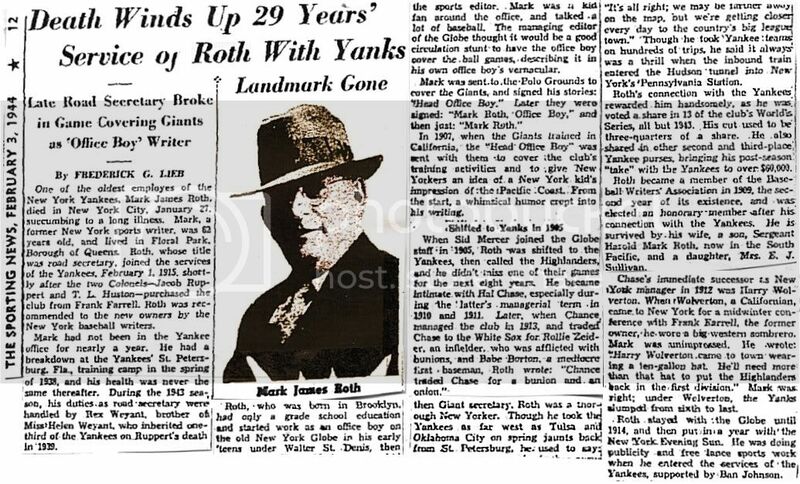 Walter also recalled it was Laird who informed skeptical New York writers that Joe DiMaggio would make them forget Babe Ruth when the ex-Seals outfielder was signed by the Yankees in the mid-'30s. San Francisco Sunday Examiner & Chronicle, January 24, 1971, pp. B7------Sporting News' obituary, February 13, 1971, pp. 44. Tom and Joe DiMaggio: possibly mid-50's. Last edited by Bill Burgess; 09-06-2012, 12:02 AM. 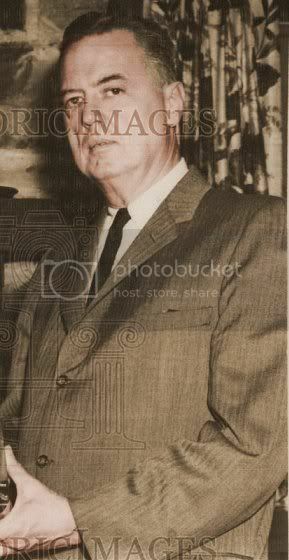 Died: January 22, 1989, Derry, NH, age 76,---d. Sunday at a health care center in Nashua, NH, after a lengthy illness. Boston University teacher, 1968-78, taught writing until his retirement in 1978. -----------------------------------------------------------------------------Sporting News' obituary February 6, 1989, pp. 41.
designed wristwatch to Look All America fullback Alan Ameche of Wisconsin.-------------------New York Times' obituary, January 24, 1989, pp. D22. Last edited by Bill Burgess; 08-14-2012, 11:26 AM.